There are few things that self-acclaimed Northwesterners are passionate about as much as their artisanal roasts and bud. 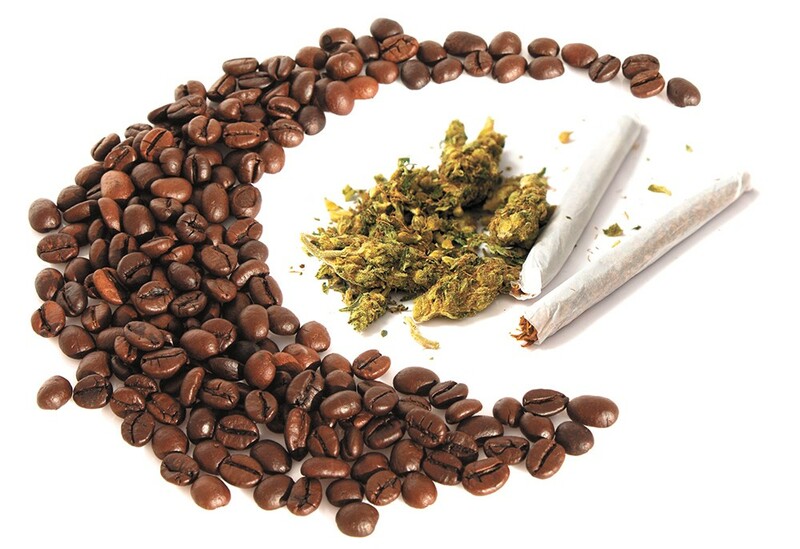 The overlapping interest parallels the overlapping forms of highs that both coffee and weed offer. Like THC, coffee's caffeine affects the brain through the endocannabinoid system. Caffeine is often misunderstood as an "energy booster," but the drug actually works in tricking your brain. As an endocannabinoid connecter, caffeine will block the receptors of the brain that will make you feel tired or relaxed. That inhibitor subsequently makes the user feel more awake and alert. THC works similarly, bonding to receptors as a molecule resembling the "bliss molecule" anandamide, which promotes euphoria, appetite and thought. By combining the two drugs, the idea is that the receptor blockers of caffeine will enable a prolonged life cycle of the THC, meaning a more substantial and alert high while also minimal drowsiness. And the fun in all of this is how customized your experience with buds and beans can be. Are you going for a relaxing day off? Grab a dark roast and pair it with the sweet flavors of the indica strain Blueberry and relax on your porch or deck with a book. Have a lot of chores or errands? Roll a joint of Durban Poison to smoke while you down a light-roast espresso. The process of planning your morning supplement will help you decide how the rest of your day is going to go. Choosing a hybrid, indica or sativa helps put yourself in the mindset of what your goals for the day should be. There are enough chocolaty and nutty flavors of strains that you can almost match the experience of chocolate and coffee to boot. And using flower will release more of the flavor terpenes than a concentrate will, but a simple vape pen and a coffee stand is not something to scoff at when you're on the go and adventuring. The more we treat the process of using cannabis as a supplemental experience, a dietary experience and part of a routine, rather than something that will leave us couch-locked and tunnel-eyed, the more we can utilize the plant. The original print version of this article was headlined "Coffee and Cannabis"